DO YOU HAVE SLOPING FLOORS? CRACKING PLASTER? SAGGING ROOF? DOES A HOME INSPECTION REVEAL POSSIBLE STRUCTURAL PROBLEMS? DOES THE CITY REQUIRE SPECIAL INSPECTIONS? We perform structural evaluations when there is a problem with the structure of a residential or commercial building such as foundation settlement, roof sagging or joist & beam failure. 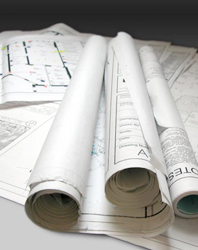 We perform evaluations on residential and non-residential buildings. An evaluation includes a field inspection followed by a report of our findings. Some reports give a brief description for the method of repairs. Some reports include drawings showing our design for repairs.